Brian Holland (piano) is an internationally renowned pianist, composer, recording artist, and entertainer who has enjoyed a music career spanning more than 35 years. After spending his formative years playing in pizza parlors and clubs throughout Indiana, Brian’s career flourished when he discovered the World Championship Old-Time Piano Playing Contest. In 1999, he won his third title and was retired as “undefeated”. Brian has played with some of the hottest jazz bands in the US – Holland-Coots Jazz Quintet, Titan Hot Seven, Wally’s Warehouse Waifs, Holland Rhythm Company, B.A.D. Rhythm, and others – and has traveled all over the world performing his creative styles of jazz, ragtime, stride, swing, boogie, and blues. He has multiple solo and ensemble recordings to his credit, and has garnered a Grammy nomination for his work with Bud Dresser on their album, “Ragtime-Goodtime-Jazz”. 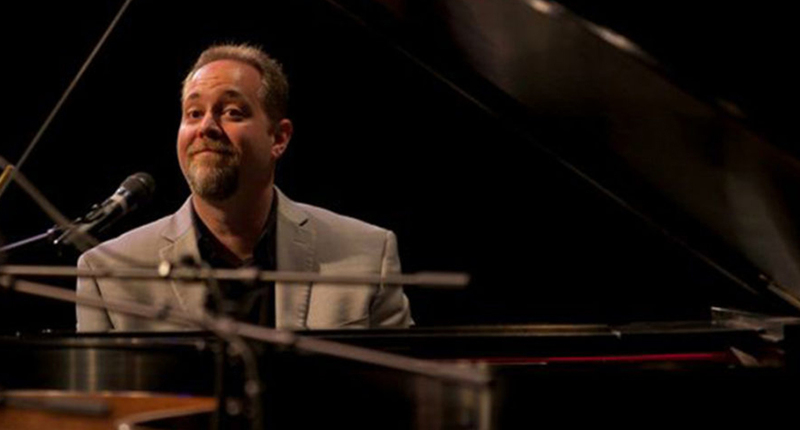 Brian is very proud to be the Artistic Director for the Scott Joplin International Ragtime Festival (Sedalia, MO – June), and Co-Artistic Consultant for the Monterey Jazz Bash by the Bay (Monterey, CA – March).